Every year, I am enthralled by the students that pass through my door. Teaching in an urban school district brings with it so many challenges. The socioeconomic differences, ethnicity and racial differences, and this year, it seems more than ever, students heavy laden with trauma, fill our hallways from kindergarten up to fifth grade. It has weighed quite heavy on my heart and spirit this year and affected me in a way I have struggled to deal with, both mentally and emotionally, mainly due to the fact that so much of what I see is out of my control and the pain my students carry is far beyond anything I can do outside of consoling them. Each year, we are reminded that our population of students is challenged. Language barriers make learning difficult for our students new to the country. Poverty, abuse and violence, moving from place to place and from family member to family member are just some of the challenges they face. But imagine the impact any one of these may have on a child. They don’t understand much of what is going on, but they conform to it because this is the life they know. Understanding our students have basic needs to be met, each year, we find ways to get to know our students a little better in order to connect with them. We understand that relationships matter and impact students’ learning significantly. Still, some students allow you in just a little bit, some allow you in a lot, and others do not allow you to know who they or what they are dealing with at all. It’s no wonder since so many of them have been hurt by the loss of a loved one, transience, abuse, and so many other factors that truly make what we do a challenge. It also makes what we do quite meaningful. Teaching is by no means, for the faint at heart! I’ve been particularly concerned with the future of many of my students. Many would think that fifth grade students are still very much innocent, naive, and impressionable. They are to a degree, don’t get me wrong. However, the fifth graders I have worked with recently carry much pain and anger and do not have the mental capacity to manage and cope with such emotions. Reaching so many of them has been a struggle, as I stated earlier, but I have committed to trying. My team and I find value in spending time with our students’ one on one in an informal setting (sometimes at lunch, maybe even during specials, or sometimes even outside of school). Especially, when there is a change in behaviors or affect. Being attentive to these changes is vital in helping to shift the narrative of these students’ lives. At least, that is what we hope. Considering all of this, I am taken aback by a conversation held with one of my students. She had recently become increasingly disruptive and defiant during class. I couldn’t understand what was happening since she’d been doing so well early on in the year. I’d watched her the year before and knew coming into this year that she needed a lot of attention. She knew her behavior last year had been particularly challenging and upsetting too many, so, she personally began the year verbally committing to being a better person and student. At the beginning of the year, you could see how badly she desired something different for her life. She is bright, capable, and progressing academically, but, now, halfway through the year, it was clear, something was getting in the way. My team and I begin to see some old behaviors creeping to the surface. In my class in particular, I began to see a decrease in participation, decrease in effort, an increase in disruptions, and an increase in disrespectful responses towards me and her peers. I’m so taken aback that I decide to have a conversation with her. I had convinced myself that I could truly hit a nerve since I had taught her older brother several years prior and had a pretty good relationship with the family. When we sat down together, she looked at me and knew instantly what I would be inquiring about. She turned her head quickly so that our eyes would not connect. I asked her to look at me and asked what was going on because I had noticed some changes in her effort and participation. She unknowingly shrugged. I redirected her explaining that shrugs don’t exist in conversations; only words and explanations. While she didn’t share much, I could still sense she was holding back. The math lesson that day had been particularly challenging and in her effort to make sense of it all, she became frustrated. VERY frustrated! I empathized and explained that I understood her frustration, but even with that, I needed her to trust that I was going to do everything I could to help her, but in return, she had to keep trying. I went on to share, that although things were challenging, math would be an important skill to have in her life no matter what she decided to do. Additionally, math is something she could expect as she advances through high school and college (should she chose to go to college). At that moment, she gave me this look! Something I’d said triggered this questioning look. So, I asked her, “What do you want to be when you grow up? Have you thought about it? Have you thought about college?” She quickly responded that she was not going to college. She was dropping out in the ninth grade like her family members had done. I really wanted to know how, at 10 or 11 years old, she had already made the decision to drop out, so I asked. Quite simply, it was because no one else in her family had gone on to finish, so why should she? This is what her normal looked like. I challenged her. “Your life doesn’t have to go in that direction. You can be the FIRST to make a different decision. What do you think?” She gave a half grin and promised she would consider my words, but I sensed her mind was already made up. I haven’t been able to stop thinking about this since the conversation occurred months ago. Every day I look at her and see her potential and what she could do with her future. Unfortunately, she seems unwilling to change the narrative of her story. Sometimes I wonder if it’s truly because she doesn’t want to, but then I think it’s because she doesn’t know how to. In my reflection, I wonder…”How do we help her see that she does not have to allow her circumstances to define the person she is or can become? Are we failing her as educators or are we doing all we can for her? How much can we do and where do we access the resources?” These questions leave me feeling helpless, but to her, it seems more hopeless! It is my strong desire to truly help her “change the narrative”, but where exactly do we as educators even begin? I think it is important for us to remember that there are just some things that are out of our control. We can only impact that which is in our control. We have control over 6 hours of our students’ day, 180 days a year. The rest of that time, these students are home in the environment in which they are being raised. There are influences there that sometimes negate the content and skills we are teaching at school, simply because academic insecurities and inappropriate social skills have been passed down from generation to generation. What I mean is…our families do the best they can with what they have and sometimes what they have just isn’t enough to adequately meet the needs of their children. They raise their children based on what they have been taught themselves, passing along stereotype threats, fixed mindsets, and learned helplessness to generations that follow. My strong belief is that in order to change the narrative of one’s life, you need to help them change their mindset. There is so much weighing heavy on these students that it seemingly infests the way they think about things; the way they receive and process information. Helping them to see and think about things differently has, in the past, helped our students reject what their environment has taught them to be true. It won’t happen overnight, believe me. Helping students shift their mindset is a long term process. It requires persistence and consistency. Students will resist and that becomes frustrating. Just know that the resistance is a manifestation of the insecurities and instabilities that are ever present in their daily reality. Before you question one of your student’s behaviors, be it effort level in class or reaction towards peers and adults; check the narrative of their story. Help them edit, revise, shift, change the narrative, and create a new ending to their story. Each and every one of them deserves that opportunity. New Day, New Year, New Opportunities. New Year Motivation for All! Obstacles will ALWAYS be a part of our journey! Trust me! I am a witness! Health challenges, family, friends, children, work… all parts of our lives can become an obstacle during our journey at some point along the way. Obstacles, in themselves, are opportunities to go in a different direction along your journey! That can be scary when you’ve mapped out your route in a particular way. But the good news is, with every new year and every new day, we are afforded new OPPORTUNITIES! When you are faced with any obstacle, if you fall down, or get stuck in a rut… get up, take a deep breath, shake it off, and simply start again! If I can do it, so can you! Transitions Educational Consulting is grateful for each new opportunity that is ahead! You should be too! Remember, your journey does not end unless YOU stop moving! It’s the beginning of another school year. Many of us are beginning to gather things for our classrooms or enjoying our last moments of vacation. During this last week of rest and relaxation, I read a book! I can hardly believe it myself! I’ve begun several, but this book seemed fitting as I begin to get back into the focused mindset of daily instruction. The book incited a great deal of reflection, but not only that, it is special because it is the memoir written by my father. The book details my father’s life, beginning with a simple life growing up in rural south to his success as the first African American to lead a major national organization. He speaks in great detail of the values and mindset instilled in him at an early age by his parents. The encouragement he received and the motivation to believe he could achieve whatever he set his mind to were imprinted in him from as far back as he could recollect. Time and time again, he attributes every advancement in his career to the foundation of values his parents had imprinted in him. I stopped there in my reading to reflect. Think for a moment. As an educator, what imprint have you left on your scholars? An imprint, by definition, is an impression or a mark made by pressure. This is a commanding responsibility when you consider all we are tasked to do within one year. Nonetheless, I believe it is necessary for each of us to evaluate the imprint we intend to impress upon our scholars as they enter our classrooms. To do this, let’s begin by thinking about your purpose in education. Why are you here? Education is not for everyone as many of you well know. For those that are educators, think about why you chose this particular field. We all have our personal and/or professional reasons, but, it is my opinion that to be effective in this field, you must understand your purpose. I hope those of you reading this are here for the purpose of educating children (or adults) and developing productive thinkers and problem solvers as opposed to monetary gains and/or extended breaks. While financial stability (some of you probably chuckled right there) and weeks of vacation are attractive benefits to being an educator, nothing is more fulfilling than watching a child learn and grow before your eyes. Understanding your purpose for teaching is the first step toward leaving your imprint on a child. In addition to understanding your purpose, the book also speaks about values. Think about the values you endorse in your life. Are they like the values of your classroom? Chances are the values you hold in the highest regard are ingrained and ever present in your life, no matter where you are, therefore, they will be modeled for the young people around you. As a teacher leader, it is imperative that we are clear and consistent about our values in order for them to leave an imprint. The most important values I work to instill within my scholars (in addition to the school wide values that unite our school community) are growth mindset, kindness, and acceptance. These values set the climate within my classroom each day and throughout the year. They set the precedence for each individual and holds us all accountable for our choice behaviors. For my scholars, a positive mindset, above all, has transformative power. I have heard the phrases, “ I can’t…”, “I’m not good at…”, and “I don’t know how…” on more occasions than I’d like to admit. The second I hear just one of those statements, I pull that scholar aside to see if I can determine the root cause. I tell them specifically to, “Get your mind right”! They often look at me with confusion. I go on to explain negativity has no place in their words. Further, I go on to explain the power of the mind. You see, once a scholar begins to think they can, more often than not, they will. I keep my expectation bar raised high and I do not ever doubt they cannot reach it. Of course, I may have several bars at different heights to meet the needs of each individual scholar, but know that each of them is reaching high to meet their own set of expectations. Seeing what once was a self defeating attitude and mindset shift into an intrinsically motivated zest for learning is more gratifying than any amount of money could buy. This is probably the most important value I hold in my class. Words can build you up or they can tear you down. I’ve witnessed some shattered spirits enter my room. The power of kindness can break down barriers and allows people to open themselves up to build better relationships. It is important to understand that using kind words and feeling that one is a valued contributor within the class also helps build confidence and risk taking. It saddens me when I come across a scholar who feels they do not belong. In my presence, we are all uniquely different, with amazing gifts and individuality to offer the classroom community. I work diligently to create an environment where each scholar is encouraged to share a piece of themselves with the class. This allows people to acknowledge and respect each others differences since there is something uniquely defining in each of us. Being accepted for the unique person you are helps build self-esteem. These are only a few of the values I reinforce in my classroom and I think it is important to share the reason they are important is simply because they were instilled in me at a young age. I learned that the power of words tear you down as a new student, bullied and teased for the way I talked when I moved to a new school at 11 years old. At that same time, I learned to conform to social standards to be accepted by my peers. This is something I decided would not be the case for my scholars. For my scholars, I would vow that they would not succumb to the peer norms of acceptance that I faced. Being different and unique is okay and all of us would respect each person’s unparalleled skills and abilities. I learned about mindset a bit later in life. During my younger years, I’d always believed the smallest effort was my best effort. That is exactly what I would tell myself. This limited effort resulted in average grades. I was average and average was my best. That’s what I thought to myself for the longest time. I didn’t understand what true effort looked like or sounded like, even though it was right in front of me day in and day out. As long as I read over something or copied something correctly, I was putting forth my best effort. It was not until I went away to college that I learned that true effort meant more time, more reading, more research, more practice; simply put effort means put in MORE! It may seem trivial on some level, these three simple foundational values; but when you consider the impact they have collectively on a child’s future, it seems worth the investment. When my scholars leave and enter middle school, they enter with new imprints. They enter with a better understanding of who they are, what they are capable of, and a sense of self worth; all because I chose to leave my imprint on their lives. Now, what will your imprint look like? Over the last year, I have worked diligently to reach newer heights. I added to my consulting business portfolio by becoming a National Trainer through the Center for Teacher Effectiveness (CTE). I also became inundated with the task of perfecting a professional development session focused on teacher efficacy, student engagement, and motivation. Keep in mind, I have led professional development sessions locally, but had not yet taken on the challenge of presenting at the state level. That all changed this last year. I was both honored and privileged to have my presentation/proposal accepted at four state teacher/administrator conferences! I didn’t expect it to happen so quickly, but now here I was preparing to present at four very established state conferences. Have you ever prepared for something for so long that everything just seemed to fall right into place? I mean, the presentation looks great, it sounds great, and in your mind, you envision everything running smooth as pudding? This has been my experience and has led to an exceptionally eye-opening year to say the least! The opportunity to share my knowledge at the state level has the potential to finally boost my business to the next level. The mere conception of reaching districts beyond my locality has become intoxicating! I instantly become inspired by the expansive impact I would be able to make within neighboring states and communities. Needless to say, however, what was to be an exhilarating experience evolved into an overwhelmingly stressful, anxiety laden test that would become a lesson lying in wait. I’ve been wanting to write for the longest, but for some reason, working to build the public speaking portion of my business left my voice silenced, ironically enough. The emphasis on making sure just the right slides were included, that each annotation was accurate, and each objective was being met loomed over me. It may be difficult to understand, but while I was organizing and reorganizing slides, I began to feel a great deal of pressure. It was really all I thought about in my spare time and I became almost obsessive about the entire presentation. There was a lot of research and great detail placed into making certain the session was just right. It needed to be perfect! However, in my reflection of this past year, I finally have something to share with all of you, and that is this… disappointments can only define us, if we allow them! Think about that statement, then, think about the many successes you have achieved. Should one disappointment negate all of those? Last summer, around this time, I created a professional development presentation focused on teacher efficacy, student engagement and motivation. My proposal was accepted for the very first time to present in October (2017) in Columbus, Ohio at the Fall Title I Conference. I was incredibly excited, yet, also nervous. Not about the content I was sharing, but more about how it would be received. I presented by myself, as I typically do, and I began to feel a tremendous amount of apprehension. The presentation went pretty well, but I sensed that I was not reaching some of the participants, particularly those that were administrators. My target audience had been teachers up to this point and teachers have been extremely receptive of the material. I found that I was a much harsher critic of myself than those I presented to because feedback and evaluation ratings from them were high. Very high! It was a confidence booster that I did not realize I needed! I became even more elated when as a direct result of this presentation, I was invited to speak at the spring Title I Conference in May! I thought to myself, I have finally created a platform for myself to reach educators across the state! While I was looking forward to May 2018 and the future presentation I would deliver, I still had to present in February 2018 at the conference for Teachers of English Language Arts. This conference was very involved and my presentation was even more well received. There was standing room only and participants were extremely engaged! I was able to share a couple of strategies, but the discussion was so interesting, we not only lost track of time, but also ran out of time! A Board member spoke so highly of the session that she suggested more time for me next year! Great! I will be there! I am feeling very confident about the direction my business is heading after this conference. I should have known that disappointment was lingering nearby just waiting to pounce on me and wear down the high level of efficacy I have worked hard to build. By the time I get back to the Title I conference in May, something was feeling off. I was distressed, but I am not sure why. Perhaps it was from the stress of the school year wearing on my spirit; the desolate feeling I had being at this conference and every conference prior; or perhaps it’s the sudden inadequacy I was feeling as a lone presenter or regarding my presentation itself, as the case may be. I cannot pinpoint exactly what brought on this unsettling mood, but there is definitely something happening. Although it wasn’t the best, I believe I was still able to meet the basic objective of the presentation. Participants seemed to leave with a basic understanding of student engagement and motivation, as well as a couple of strategies to share, but something just did not feel right. I was definitely disappointed at the end of it, feeling that I had not given my best me. I immediately take participant feedback to revise the session to make it even better for the next presentation opportunity. June 2018…my fourth and final presentation of the school year. This conference was with Elementary School Administrators and leaders. My biggest challenge yet. I felt good about it going in, but once I got there, the feeling of trepidation enshrouded my being. Perhaps it is because I am presenting to a new audience or because, in the back of my mind, I knew I was not fully prepared for this particular audience. In hindsight, I recognized there were steps missed to meet the capacity of this group. I talk myself down, thinking, “Things have been GREAT up to this point. You’re overreacting!” Oh, but, my gut was very aware of what was about to happen. The very first thing that happened was, I lost my voice just before the presentation began! Literally, lost my voice. It was awful!! It had to be a sign! Then, I began to sweat and watch the walls come tumbling down, figuratively speaking. I presented to the most difficult room I have had up to this point. Participants were in fact NOT engaged and the more I tried, the less they listened. There were more administrators in the room this time and the words coming out of my mouth did not seem to spark any wick of interest at all. I wanted to stop immediately, but I pressed on, thinking the entire time, “What is happening?” Disappointment had shown its face! I was so disappointed in myself. I was saddened that participants left unfed and disengaged; distressed that I was unable to shift the presentation enough to gain attention; and frustrated that even though I saw it coming, what I did to prepare for it just wasn’t enough. I immediately begin to reflect. In fact, I have been reflecting for the last month over what I consider a “major” disappointment in my career. I reached out to my mentors for feedback about what I experienced. Receiving criticism, admitting defeat, accepting this “set back” as an opportunity for a come back was hard, but the fact of the matter is, disappointments are a normal part of life! While they are painful, for sure, they are necessary for growth. It is my belief that when you hold yourself to the same expectations day after day, week after week, disappointments are bound to make their way into your space, because one becomes complacent with what they are tasked to do. Think about this… if your expectations are the same day in and day out, they are bound to misalign with the needs of someone else. The implication of this is not that the end result will be different, however it does imply that the route you use to reach the goal may be (and, in fact, should be) different than the route you took before. Understand that this takes time, efficiency, and precision to ensure that each specific objective is met for the needs of the identified audience. Otherwise, disappointment is surely inevitable. As a result of these personal learning opportunities, I have come to realize that my expectations were set to meet MY own needs and not the needs of those to whom I was speaking. The feeling of disappointment sensed that fragility in my session and pounced right at the perfect time. Now, what I thought were great experiences, became growth opportunities for me. Lessons in planning, public speaking, recognizing the needs of the audience, and lessons about myself as a growing entrepreneur, passionate about what I am creating and preparing. Rather than receiving these experiences as a lesson, I took them as progressive failures and personal attacks on my ability to teach and advocate for change. I was at an all time low and had allowed disappointment to define who I was as an educator and advocate. No more! I refuse to allow disappointment to run my life and hinder my successes. I have come too far and accomplished too many positive things in this field to allow that to happen. So, I say to you, although it is often difficult to receive, let us welcome disappointments and use them as an opportunity for personal and professional growth. Disappointments compel you to redefine who you are in order to maintain engagement and relevance and it does so frequently. It can and it will define you and ruin you, but only if you allow it. Disappointments always linger in wait. When they come for you, listen, learn, change your route, then move onward and upward toward success. 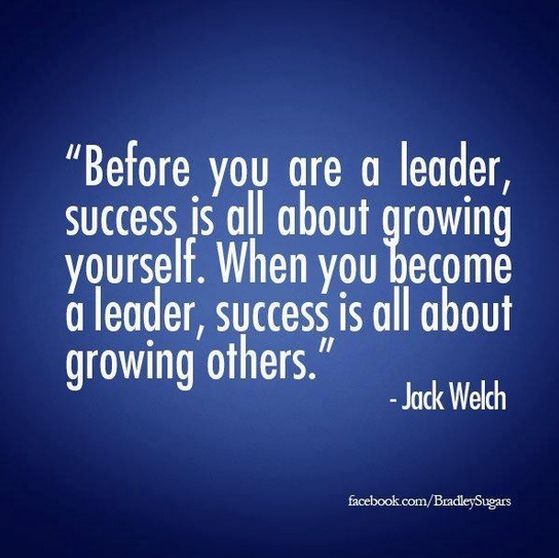 “BE A LEADER!” We utter these words almost daily to our scholars. What exactly do we mean when we say this? Don’t we have specific expectations of what it means to be a scholar leader? These last couple of weeks have had me thinking. How can teachers exclaim these words and struggle being a leader themselves? Aren’t we supposed to “lead by example”? That’s what we tell our scholars, isn’t it? Is there gratification in not being a teacher leader? 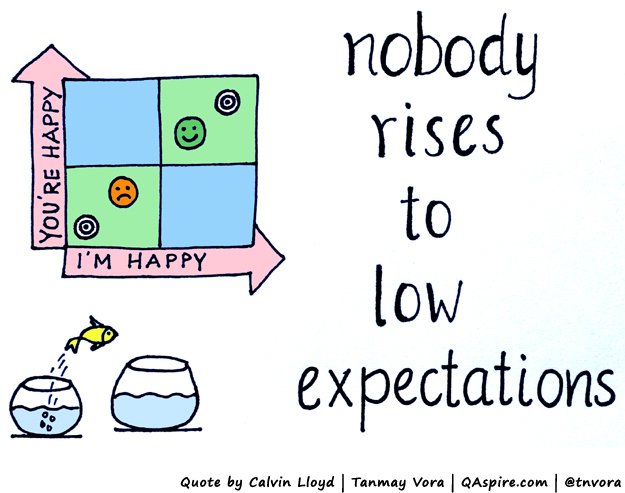 Are the standards of expectations we have set for ourselves the reason they are so low for our scholars? I have been engrossed with these wonderings all week. Let’s think about this. What exactly qualifies a teacher as a leader? I’m going to go out on a limb here and suggest that standing at the front of the classroom is not a certifiable characteristic of leadership. There is much more to being a teacher leader than simply that. 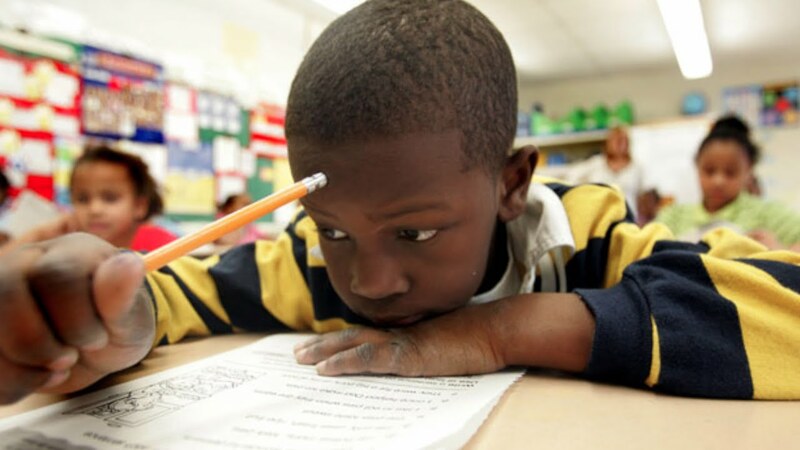 In my reflection, I began to think simplistically about the characteristics I’d expect to see in my scholar leaders in order to decipher how this might transfer to educators. When I’m identifying leaders in my classroom community, yes, I look for the general character traits such as respect and responsibility. These are at the very foundation of what a leader should display. But, sometimes it seems that even these are too much to ask of some colleagues. I’m not certain why this blaring lack of professional responsibility is agitating me so much these days. Typically, we get into a slump and we climb our way out. This year has been disparagingly different….challenging, to say the least. I’ve had to stop and think about why I’m here to begin with. At the beginning of my teaching career, I was told that I would never amount to anything as an educator, but thankfully, my scholars communicated otherwise. It is because of not only my scholars, but the many experiences I’ve had along the way that assure me that leadership is much MORE than simply respect and responsibility. The obligations of teacher leaders have the potential to bear heavy weight. As schools continue to work towards improvement, teacher leaders stand at the helm, advocating for quality, equitable education for all young scholars. However, with systemic issues such as poverty, homelessness, drugs and violence at the forefront of many scholars minds, it becomes more and more difficult for teachers to encourage and motivate them to be effective learners and in turn, becomes equally challenging to be effective, efficacious educators. Teachers are becoming more and more overwhelmed working to support scholars as they struggle to deal with the realities of their own lives. The days seem to be getting longer and harder the closer we get to the end of the school year. Morale is low, complaints are high, students´ instruction is done just complacently enough to say simply that it was done. It is clear as I walk the halls that many of us are tired and some even burned out. Our scholars are feeling it too, expressing their frustration with outbursts and disrespectful behavior because they lack the skills to express it in any other way. Relationships between teachers and their scholars are suddenly falling apart. How we deal with this sudden decline in school climate can be the difference between how successfully we lead our scholars or not. I leave the building perplexed, wondering how the year has come to this. I would venture to say that being a teacher leader is indeed challenging. In my eyes, however, it is a welcomed challenge. We are in a position to be change agents in this field, but this requires commitment. Commitment to change and commitment to the charge. Teacher leaders are charged with the task of identifying the issues hindering the academic growth of scholars and whether the instruction they are receiving is effective or not. More than that, teacher leaders encourage and motivate not only scholars, but their colleagues to be the best instructional leaders they can be. Growing leaders, however, requires that teachers be open to learning new things, habits, concepts, and strategies. However, in that new learning, one must be willing to modify the old. I have been feeling as if this is wherein lies the thin line between one who simply teaches and one who teaches to lead. Quite honestly, itś the difference between whether you are teaching because itś your job and teaching because itś your passion. Listen, ¨BE A LEADER!¨ This time, the exclamatory charge is for you…the educator. And while you reflect on that, I would like to pose the following question as well. ¨Why are you here?¨ This might be a loaded question, however, in developing teacher leaders, I believe it is a very important question when the lives of children are at stake. In reflecting on this question, think about not simply why you are teaching, but why you are teaching here…in the urban school. If you are teaching for the comfortable hours, weekends off, and the extended breaks, then teaching is probably your job. If you have reached your wits end and find yourself in a constant battle with your scholars or have given up trying, then teaching is probably not the place for you and you should think about moving on. If you are teaching in the urban school because you believe that success is achievable regardless of background, color, disability, behavior, or other barriers…that, my fellow colleagues, is your passion. If you will go above, beyond, and to the ends of the earth to build and grow relationships with your scholars…that too, is passion! Seriously, reflect on this question long and hard. Be honest with yourself. Why are you really here? The answer may be difficult to receive, but it requires your immediate response because how you answer will reveal whether you are a teacher leader, or lack thereof. Recently, I had a guest visit my room while I was out for a department meeting. There were actually two guests that day in my room for the morning; the guest teacher covering for me and the guest teacher for our Physical Education teacher. My plans included the regular morning routine; the morning message, attendance, lunch count, the Pledge and my Scholar Statement, and finally, our morning meeting. Because I was going to be out for an hour, this morning’s meeting would entail a scholar reflection. You see, the week before while I was out for a different meeting, another guest teacher was intrigued by the Scholar’s Statement and curious to hear what this meant to my scholars. So, she asked them. She shared her insight with me the next morning, stating, “ They didn’t have a clue!” I was stunned since we had spent about a week discussing the statement before reciting it. Little did I know, a week later, the Statement would get someone else’s attention. Now back to this particular day. As I entered the gym to pick up my scholars from class, I am again stopped by this guest teacher. “Your Scholar Statement is right on!”, he shares. He goes on to say that he’s been to many schools over the last year and a half, but the growth and progress of this school is paramount! He compliments me, the rest of our staff, and our administrator, explaining that my Scholar Statement is evidence of the growth and shift in mindset he has witnessed since his last visit to the school. What’s interesting about the Scholar Statement is that I wrote it one summer, about 3 years ago, while reflecting on the start of the new school year. I was concerned about my students mindset. Having heard so many times over the years how they feel they aren’t capable and will never be fit to make it to college, I had to figure out a way to influence a change in mindset. That day, while on the elliptical, the Scholar Statement was born. It was then that I committed to always address them as scholars rather than “students” in an effort to ingrain in them the belief that they have the potential to succeed as much as any other 5th grader, regardless of their background or circumstances. The statements “I can’t!” and “I give up!” do not dwell in my classroom. Because, you see, these statements present themselves as cop outs; excuses for giving up. The Statement is our daily reminder that failure is not an option and acknowledges that although we all learn differently, we are all still very capable of learning and being successful. I must be honest… I was completely flattered that someone had noticed my heart and passion for teaching my scholars, all in the span of about 30 minutes. I didn’t write the Statement for accolades, after all; but rather as a means of instilling self worth and confidence in my scholars. That’s all. Sure, it’s nice to receive compliments; to be recognized for the hard work that is put into each day. But, the reality is many times, when you expect to be noticed, you won’t be. Sometimes, what we do can be a thankless job! You get to the point where you simply expect nothing. So, when this visiting educator publicly acknowledged me and my work on his personal social media page, I was doubly flattered. It was incredibly humbling and touched me at my core! There is a take away here. While the compliment that day brought me a moment of exhilaration, I knew I had to get my mind prepared to fall back into the usual frame of mind. Look, let’s be honest. Compliments won’t always be verbalized. So, be confident in the educator you have trained to be. Believe in your ability to touch lives. Encourage yourself to do more and be more every single day, rather than waiting for that pat on the back for the amazing things you do. 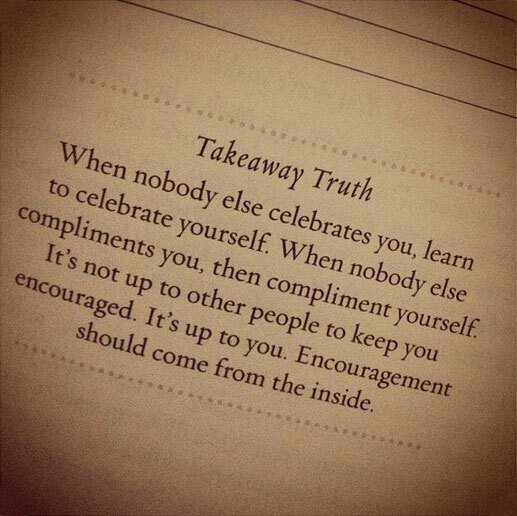 Know that although you may not always be acknowledged for the things you do…someone notices. When you’re the last one at school in the evening…someone notices. When you’re weekends include attending a scholar’s game, competition, or family event…someone notices. When you go the extra mile for that one struggling scholar…someone does notice. We do so much more than teach content and give assessments. More than we can probably keep up with ourselves. Just continue nurturing and molding your scholars into the strong, confident thinkers and problem solvers they are meant to be and remember… When you think no one notices, someone really does.